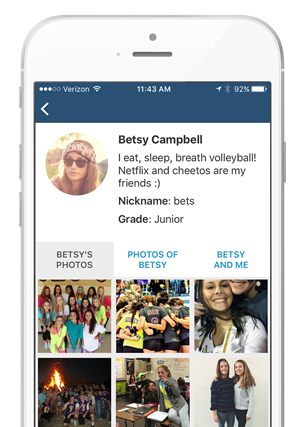 Photos from your phone to your yearbook. Select your school, sign in, and you're ready to roll. All photos land directly inside the yearbook system, ready to drag and drop where ever you want. Everyone with a phone can easily submit photos, allowing you to cover as many activities as possible. Delight students, parents, teachers, and coaches by including their images in the yearbook story. "Football season is over, but--because of Skipple--I have so many photos to choose from for the yearbook." "It's like Instagram for my school!" "Skipple really helped us advertise our yearbook with parents because they loved the idea of contributing their photos to the yearbook."